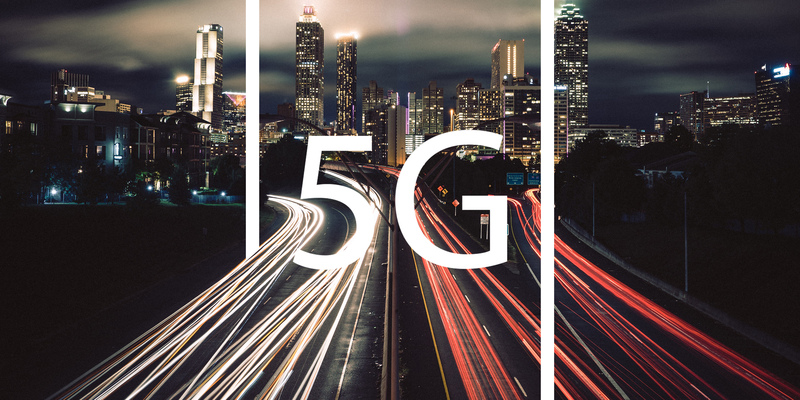 SAF Blog > Are you Ready for Over-the-air Testing for 5G Network? We’re racing toward full rollout of 5G networks. In the United States, Verizon and AT&T are running full speed on commercial rollouts. The others aren’t far behind. The 3GPP, a global collaboration between several telecommunications organizations has established standards for the physical layer of the network, and millimeter wave is where we’re headed. Initial rollouts call for 24-40 GHz (initially 27.5 – 28.35 GHz and 37-40 GHz in the US). These frequencies hold the promise of wide channel bandwidth enabling extremely high data rates. One of the main challenges the carriers will face is propagation. Signals at these frequencies are easily attenuated or even completely blocked by items like glass, brick, wood, metal, and pretty much anything encountered in the real world. There are two ways to overcome this challenge. Physical positioning of transmitters and power. The “easy” way to overcome propagation issues is to simply have dense deployments of very high-power radios. This is problematic for two reasons. One is aesthetic, as cell towers aren’t always the most beautiful or most desired architectural features on the landscape. There’s been much work done over the past 10-15 years to make the equipment better blend in with its surroundings, but public opposition is still common and deployments get blocked. The other reason is public safety as it relates to radiation. I won’t run down this rabbit hole as there is a lot of information (and mis-information) on this topic already. However, there are valid concerns that need to be addressed. The way forward is to fully characterize the entire cell area and strategically deploy the most efficient, lowest impact network possible. To achieve this, considerable work will need to be done on the ground to characterize the environment and optimize coverage. The major radio manufacturers have acknowledged that OTA (over the air) testing will be essential to accomplish this task as 5G is rolled out. A truly portable, affordable test solution in these frequency ranges does not exist today. In the nearest future, look for a new 24-40 GHz spectrum analyzer from SAF Tehnika that we believe will become the go-to workhorse for the task at hand. Our new Spectrum Compact will continue to be a lightweight, compact, stand-alone device with a simple and intuitive GUI. However, the new analyzer will have important new features, including an adjustable RBW down to 100 kHz along with selectable detector settings to make it the ultimate tool for millimeter wave physical layer investigation.